Bryan Penberthy has published his first collection of poetry entitled Luck Townwhich won the National Poetry Review Book Prize in 2007. Bryan graduated from Purdue in 2003 and served as poetry editor for Sycamore Review. He currently lives in Charleston, South Carolina. His poetry has appeared or is forthcoming in Another Chicago Magazine, Bat City Review, Blackbird, Coal City Review, Crazyhorse, New Orleans Review, Poetry International, River Styx, Verse Daily, West Branch, and elsewhere. 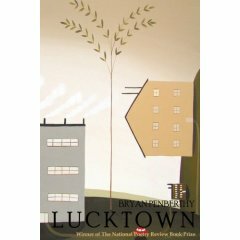 Read Bryan’s poem, “Montage” which appears in Luck Town. We at Sycamore give our best to Bryan. Congratulations once again!